…But not really. News is not important. It’ll be there tomorrow too. And the next day. Assassin’s Creed IV: Black Flag – To fill my 3rd person, open world, platformer void. To play an Ubisoft open world game, requires somewhat of a balancing act in priorities. Their games are typically filled with activities to complete, sights to see, side missions to pursue and stories to experience. The struggle is trying to balance these equally. Focus on one, and you start to get the feeling you’re missing out on the world around you, or your perks and upgrades are falling behind. Or, the dread of missing something entirely, which can’t be recovered. It’s stressful. Battlefield: Hardline – To fill my FPS void. This is currently the freshest game on the market, and I don’t typically play games fresh. Normally to avoid bugs or server issues, or just my back-log of games. In this case I’m playing it for the single player campaign. And enjoying it! Stealth Battlefield, who knew! Continue to check back for my impressions, and Review. Cities: Skylines – These type of games are great, but they’re a time sink. So going forward, to ensure I don’t lose focus on my other endeavors, I’ll probably just have to set a timer. Play the game, improve my city. Take a break until tomorrow. Continue to check back for my ongoing impressions and Review. Sniper Elite 3 – Currently playing this in co-op with a friend. We’re about half way through, and we are not the stealthiest bunch. Forza Horizons 2 – Still playing through this, wrapping up the Storm Island DLC, some achievements, and will check out the Fast and the Furious DLC next week. I usually don’t like to overlap games of the same genre (or more than one Ubisoft game), so Shadow of Mordor and Far Cry 3 are currently on hold, and currently waiting on a fourth, to try out the GTA V Heists, but luckily nothing else new or notable is on the immediate horizon. 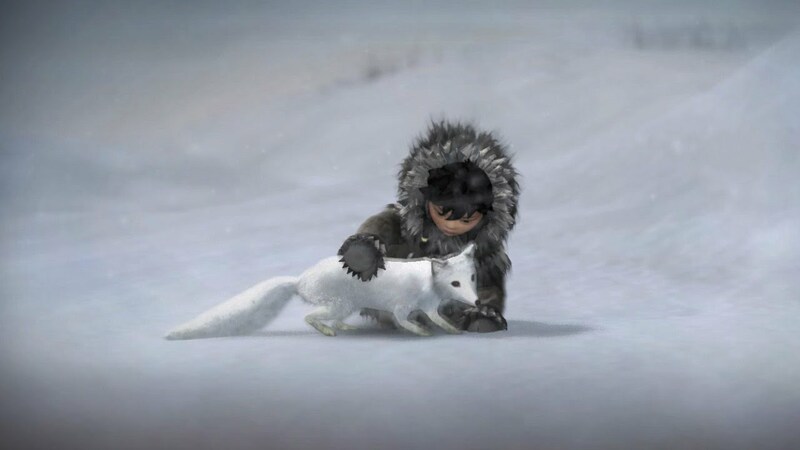 Tomorrow I’ll be posting a new Review, of Never Alone, and I’m thinking about a new weekly feature centered around Achievements. Just gotta think of the concept and logistics – pretty much everything actually. Achievements are a pretty big deal to me. Microsoft announced today that the free cloud storage, OneDrive, included with Microsoft products, and Xbox, will support music uploads, which can be streamed through the Xbox Music app. The only issue I still have is that the app needs to be snapped to the side. Once minimized, the music stops. This is disappointing, as the 360 has the background music functionality. Hopefully this potential update comes soon, if they’re even working on it? Further clarification came out today about the enlightening news regarding Nintendo’s mobile plans. As reported yesterday, Nintendo has partnered with DeNA to develop a mobile platform and service. Nintendo confirmed that they will be the ones developing the mobile games, with hopefully their first releases later this year, and DeNA will be developing the services to run on multiple types of devices. The Star Craft story is coming to an end. Revealed today, Blizzard has stated that the next expansion to Star Craft II, Legacy of the Void will be the conclusion to the Star Craft story, started way way back in Star Craft 1. They stated that the franchise will continue on, but the characters for now, fates sealed, will see a satisfying conclusion to their story. I haven’t actually had the chance to watch this series yet. I did enjoy Forward Unto Dawn, for the most part, but this new series has received mixed reviews, even with a notable producer in ridley Scott, and a larger budget. The Master Chief Collection, however, is finally more stable, and I’ve been able to plug through more of the Halo 1-4 campaign missions in weekly late night co-op. 343 Guilty Spark in Halo: CE is still the buggiest level, nearly game breaking at points, but we made it through, thankfully, and we’re now able to complete the campaign. This entry was posted in News, What Im Playing and tagged Assassins Creed, Cities Skylines, Forza Horizons 2, Gaming, Halo Nightfall, Nintendo, OneDrive, Sniper Elite, Star Craft, Video Games. Bookmark the permalink.